Speaking at the Conference for Tourism Development in Central and Central Highlands, the Prime Minister said that there were still cases of ripping off, aggressively asking tourists to buy souvenirs, deceitful taxi, unauthorized street vendors, insanitation, and lack of security... Despite being rare, they still had to be condemned and dealt with strictly. 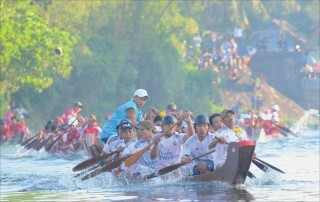 These were unacceptable things, affecting the image of tourism and of Vietnam in the eyes of international friends. This also affects the investment incentives and tourism promotion. It is necessary to tighten the management and control of the rip-off cases with the intention not to let them become a “brand” of tourism in some localities as required by the Prime Minister. According to the Prime Minister, maintaining a clean environment, friendly and happy people with smile on lips to welcome tourists, along with a safe and good security destination… will create an incredible value, a decisive factor for the sustainable development of tourism. For example, when Japanese Emperor Akihito visited Hue in 2017, he was deeply impressed as people queueing up from the airport to Hue city, along with the students holding flags of the two countries to welcome him and his delegation. These are the things that other localities need to aim at and Hue needs to promote. 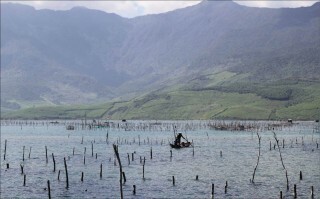 In order to solve the matter of how to make visitors coming to Hue in particular and to Vietnam in general feel excited and cherished, tourism experts believe that aside from tourism resources, the most effective way to promote the destination is to create the image of friendly people with dedicated and hospitable tourism employees. 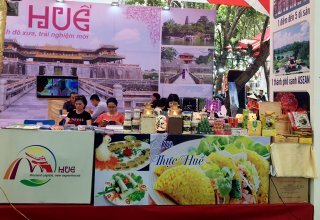 Leaders of the Department of Tourism recognize that Hue have always been known as a peaceful, hospitable, high security and safe land. 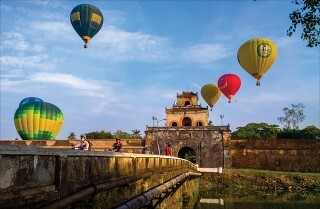 For a long time, Hue culture and people have always been an attractive tourism product. In order for every citizen not to stand outside in increasing the ability to attract tourists, many training courses on customer service skills have been organized, said Mr. Le Ngoc Sanh, Chief of the Department of Tourism. In the content conveyed, expressing friendliness and smiling when serving guests are focused on. 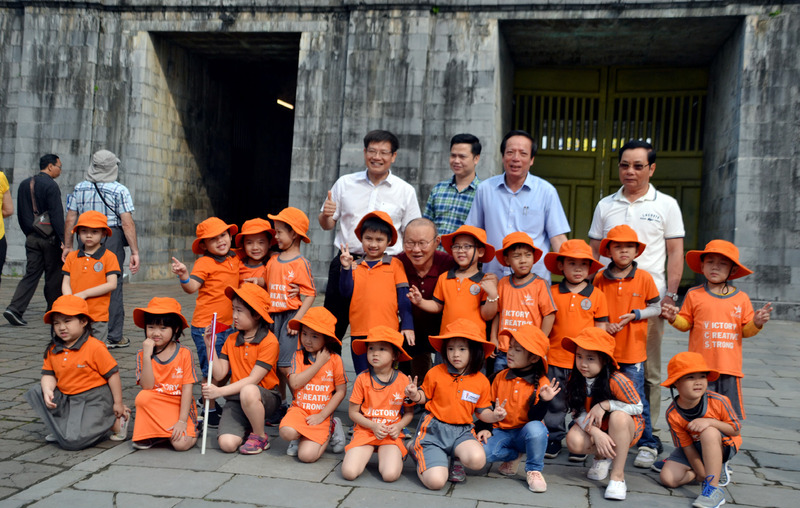 According to Mr. Sanh, for each citizen to become an "ambassador", as required by the Prime Minister, in parallel with propaganda, there should be a long-term strategy, especially to continue improving the existing values and shaping a young and civilized generation that love Hue. However, with the growth rate of society, it will be very difficult for the traditional cultural values to be maintained and delved into the lives of young people. Meanwhile, culture and traditional values ​​are always considered a core factor for sustainable development, and avoiding deviations. Mr. 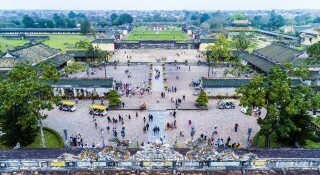 Vu Hoai Phuong, Principal of the College of Tourism, agrees with this opinion, stating that students need to visit museums and The Citadel and be told the historical stories that have imbued there. By that way, those stories can be remembered and immortalized as fairy tales within them and will nurture the pride of Hue to the younger generation. It would take about 10 years for such a generation to emerge. And, if only half out of 100 students being educated would be aware of the pride of Hue, perhaps, we could already succeed. These students will pass that love to the next generations. According to Mr. Phuong, in tourism, the first and foremost factor is the environments have to be clean and hygienic. For Hue, it is possible to pilot the sanitation on each route, which completely devoid of rubbish... to raise the locals’ awareness and encourage participation from the community. This should go from an effective individual to the entire neighborhood. After that, the City should continue to mobilize building “non-smoking routes” or “non-social evils routes”. 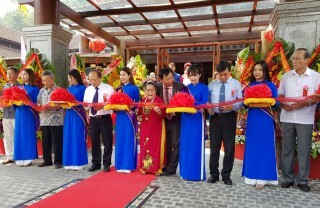 That is a unique and stable direction for development, aiming at making Hue people themselves into attractive tourism product. 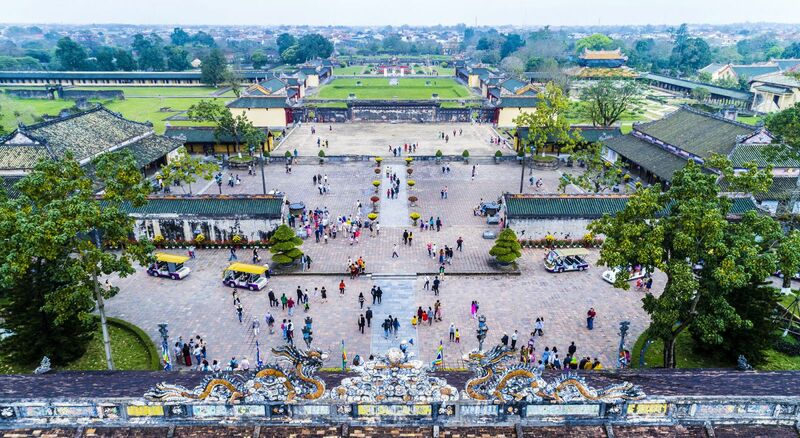 Mr. Phan Ngoc Tho, the Chairman of the Provincial People's Committee have recently said that the province will build a set of textbooks, lectures, or an extra-curricular program to teach Hue culture and history to students, from kindergarten to high school. 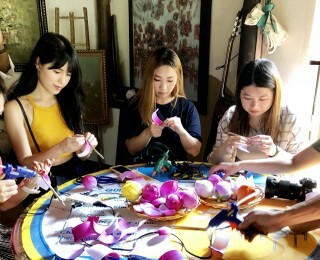 Cultural and historical education will be the foundation for Hue young people, arousing pride of homeland, thus, resulting in the young generations aspire themselves to contribute and serve the country.